A Newberg man and well known director of the organization Trillium Springs has been sued by the state's attorney general for allegedly violating his duties as director to benefit himself. A 20-page complaint filed in Marion County by Attorney General Ellen Rosenblum states that Forrest Reinhardt, known for his knowledge of obtaining gifts such as real estate for charities, "has repeatedly breached his fiduciary duties as an officer and director of charities by assuming control of charities and repurposing them for his own purposes without following appropriate legal procedures, obtaining without any board oversight, engaging in improper conflict-of-interest transactions, failing to account for charitable assets, encouraging and/or advising others to engage in unlawful tax transactions, and misusing charitable assets." 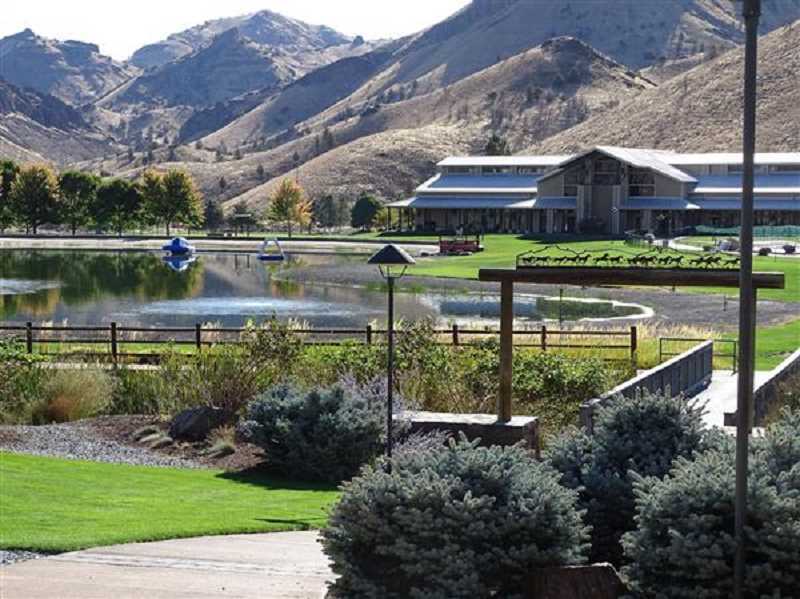 Reinhardt's efforts lead to the rise of Young Life's Washington Family Ranch, a camp and retreat center that was transformed from the infamous Rajneeshpuram compound and cult into a thriving enterprise. The ranch opened in 1999, long after the misdeeds of the Rajneeshees were past. Reinhardt, 60, has served as a director or board member of several charities at the same time, including Trillium Springs, which is also being sued by Rosenblum and which Reinhardt is still president. The complaint alleges two of the organizations Reinhardt served on lost their tax-exempt status for failing to file the proper IRS forms for three straight years, although Reinhardt continued to solicit donations. However, it states his involvement with Trillium Springs, which he has been with since 2011, "has not engaged in any program services and has simply been a vehicle for him to park and pass assets to other entities." "I might have made errors in how I handled some transactions ... and I will take responsibility for those," Reinhardt told the Oregonian. "The allegations that I personally benefitted from these charities are very hurtful, because they strike at the heart of core values I have lived by and promoted to others for decades. Those allegations are false and I look forward to proving it." The complaint aims its focus on two particular properties: a $1.2 million home on Parrett Mountain Road and the Hinterland Ranch, an alpaca farm near Sisters. The complaint alleges that in 2010, a Sherwood couple wanted to donate property for pastor retreats to Kerith Springs Lodge, a nonprofit group providing such services. The group asked Reinhardt to pursue the donation, although he said the property was in poor condition and not suitable for such use. So he allegedly directed the property donation to a California nonprofit he controlled, Venture Beyond. At the time, Venture Beyond did not have a functioning board and Reinhardt wasn't required to file with the IRS. The Sherwood couple told Reinhardt that he and his wife could not live on the property, but in 2010 Reinhardt and his wife moved from California to the home. The Parrett Mountain property was their home until 2018, when they were forced out by KSL. In that time, the Reinhardts did not pay rent to Venture beyond, KSL or any other charity to use the property. The complaint stated Reinhardt's wife wrote on Facebook their intention was to flip and sell the property within five years. From September 2011 to February 2012, Reinhardt allegedly took a total of $150,000 from Trillium Springs as president, rerouted the funds to another charity and used those funds for the home on Parrett Mountain and other expenses. In 2015, he executed a deed conveying the property to KSL, though his wife would buy the "equity stake" in the residence. He then resigned from their board and KSL executed a deed conveying the property to the Reinhardts for "goodwill, investment in ministry benefit and religious use." Reinhardt then said his donor-advised-fund would pay KSL $120,000 to cover the costs taken from Trillium. He also incorrectly told KSL, it is alleged, that because the property had gone in and out of their control in one year, they did not have to report the transaction nor file the appropriate IRS forms. In 2016, the property's tax status was no longer listed as owned by a nonprofit. In 2017, after the Department of Justice issued an order for Reinhardt to appear and produce documents, Parrett Mountain was transferred to Trillium Springs, although it was later transferred back to KSL. The Reinhardts never paid rent on the property and in September 2018, KSL sold the property for $1.05 million. As for Hinterland Ranch, the 228-acre property was donated to the National Christian Community Foundation, a nonprofit that manages donor advised funds. In 2015, when he was on the board for KSL, Reinhardt was informed of the Hinterland Ranch donation opportunity and directed him to pursue it on behalf of KSL. The ranch had been used as an alpaca farm and is made up of three separate lots near Sisters. In the months to come, one of the lots was conveyed to KSL for $50,000. That lot was then later conveyed to Trillium Springs, and in exchange, the remaining two lots of Hinterland were conveyed to KSL for $110,000. Trillium Springs did not pay anything to NCCF. At this time, Reinhardt was president of Trillium Springs and advising KSL. Reinhardt allegedly began constructing a home on the lot using funds from various charitable organizations he controlled. He planned for his son and daughter-in-law to move onto the property. "Mr. Reinhardt indicates he contributed over $100,000 from his own (donor advised funds) toward construction of the home," the complaint states. "The homes is approximately 3,000 square feet, has a three car garage, and is situated to take advantage of the view of the Three Sisters Mountains. It appears Mr. Reinhardt expended $250,000 or more of charitable funds on the home, which is only partially built." Construction was halted due to lack of funds and the DOJ's inquiry. The complaint further states that Reinhardt, as president of NCCF, directed a number of transactions where donor advised funds were improperly used, going toward private purchases and not charitable ones. For example, an individual distributed $50,000 to NCCF and Reinhardt, which was then distributed to KSL. Reinhardt then had KSL use that $50,000 toward a pastor's credit card debt. Reinhardt was president of NCCF and director of KSL at the time. The complaint also states Reinhardt routed funds through charitable organizations he controlled to benefit a friend's son. A BMW coupe was donated to Trillium Springs, although it was not needed and Trillium was not conducting such services, and Reinhardt valued it at $10,500. He made payments to his friend's son from Venture Beyond. The car was later sold and $11,000 deposited with Trillium Springs. That friend was Jeffrey Gordon, who was listed as a member of the Trillium Springs board, although he denies ever being on the board.